The trial of Akayed Ullah, a South Asian of Bangladeshi decent, who tried to blow himself up with a pipe bomb in a subway passage last year, has begun. According to a New York Times report, jury selection was expected to conclude yesterday and they are also expected to hear opening statements by a prosecutor and Ullah’s lawyer. 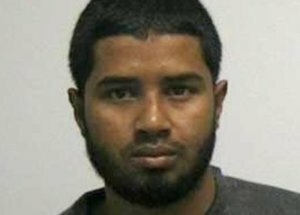 According to authorities, Ullah had carried out an attack on Dec. 11 in the tunnel which links the Times Square and Port Authority subway stations, during the morning rush hour and only injured him. He later told prosecutors “I did it for the Islamic State,” the New York Times reports. Ullah was charged with using a weapon of mass destruction, providing material support to the Islamic State and other counts, some of which carry maximum sentences of life in prison.